Dear Applicants, North Western Railway has now released notification of filling up 2090 Apprentice Vacancy under RRC Jaipur. Those candidates who are interested in RRC Jaipur Recruitment 2018 can fill application form through online mode from here for Apprentice Jobs. Closing date of applying RRC Jaipur Apprentice Vacancy Online form is 30.12.2018. To get more details about NWR Recruitment like Eligibility Criteria, Selection Criteria & Other Details from here in the below article. Railway Recruitment Cell, Jaipur is inviting online form for those candidates who are searching NWR Apprentice Vacancy. Online registration for RRC Jaipur Vacancy has started from 30.11.2018. Those appliers who are going to fill online form, first they should check post wise Required Qualification & Other Information. 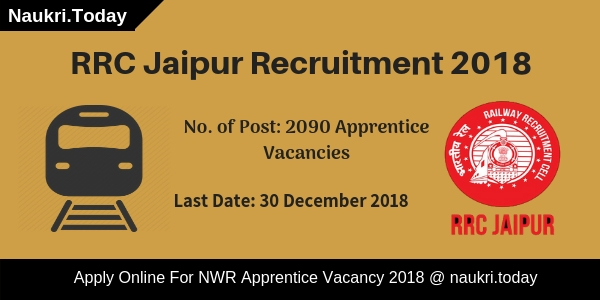 More information about Jaipur NWR Jobs you can collect by reading the below details. Latest Update as on 05th December 2018: Candidates those are fufilled eligibility criteria of RRC Jaipur Recruitment 2018 may apply through online mode. They can fill apprentice application form till the last date 30th December 2018. The direct link to apply online is available at the end of the article. What is the Important Dates For RRC Jaipur Recruitment 2018? How I Check Application Fee, Monthly Salary & Selection Criteria For RRC Jaipur Apprentice Recruitment 2018 ? How Much Monthly Salary/ Pay Scale is required for Applying NMR Apprentice Jobs Online Form ? Appliers you can check RRC Jaipur Vacancy Qualification & Age Limit Criteria from here by reading the below article. Here our team provides full information related to eligibility criteria. & You can also check more information from North Western Railway recruitment Notification. Candidates must have passed Matriculation (10th Class) with ITI Course in respective trade from any recognized Institute or University for RRC Jaipur Jobs. It is required to compete ITI Course in respective Apprentice trade for filling NWR Vacancy Online form. Appliers age must be in between 15 years to 24 years as on 30.12.2018 for RRC Jaipur Recruitment 2018. Relaxation in age for NWR Apprentice Vacancy is applicable up to 05 years for SC/ST category & 03 years for OBC Category candidates. Candidates of General/OBC Category need to pay Rs. 100/- as application fee for RRC Jaipur Vacancy 2018. Other Category appliers of SC/ST/PWD & Women are exempted from paying application fee for filling online form for North Western Railway Jobs 2018. Fees will paid through online mode using payment gateway mode. Candidates will paid pay band/ Stipend during Training Time as per Department Norms. You can check more information related to RRC Jaipur Vacancy from official NWR Recruitment Notification. Candidates will select for NWR Recruitment 2018 on the basis of Merit List. Final Merit list of Selected candidates will prepare on the basis of Marks Obtain in Matriculation & ITI Course. Merit list will be made Unit & Division wise for particular Vacancies. More information related to Selection criteria read the Official RRC Jaipur Jobs Notification. Those candidates who are interested & eligible For NWR Vacancy 2018 can fill the online form here before the closing date. Read the below instruction for filling RRC Jaipur Online form easily. First of all, candidates log on to the official website www.rrcjaipur.in. Now click on NWR Recruitment Notification link & Read it properly. Fill all required information in the RRC Jaipur Online form properly. Upload your scanned photo & signature in the NWR Apprentice Application form carefully. Deposit application fee if required. Take print out of NWR Apprentice Online form future use. Conclusion : – RRC Jaipur Recruitment 2018 For 2090 Vacancies. Candidates can fill online form for Apprentice Jobs In NWR recruitment on or before the last date 30.12.2018. For more information read the above article. Dear Applicants, Are you waiting for Jobs in Indian Railways ?? If yes, then here is a good news for you. North Western Railway has released RRC NWR Recruitment 2017 – 18 Notification of 307 Asst Loco Pilot, Station Master & Other Posts. Those candidates who are interested in RRC Jaipur Vacancies can fill online application for Various 307 Vacancies. You can submit application form for RRC NWR Vacancy 2017 on or before the last date, that is 12.10.2017. Railway recruitment Cell, Jaipur is inviting online application for recruiting applicants on NWR Assistant Loco Pilot Vacancy & Other Post. This is a special recruitment drive for All serving regular railway Employees of NWR Railway excluding RPF/RPSF Employee. All the Regular Railway Serving employees who are looking RRC Jaipur Recruitment Notification can submit online form here. Registration through online mode for North Western Railway Vacancy has started from 13.09.2017. Interested Candidates can check complete details about RRC NWR Vacancy 2017 like education qualification, selection Process, age criteria etc. in the below article. Fresh Update (16.09.2017) : Dear Applicants, RRC Hubli has released recruitment notification of 136 Goods Guard Vacancy. If you are interested in RRC SWR Recruitment then fill online form before the last date. Click here to fill online form for RRC Hubli Jobs 2017. Applicants who are going to fill online form for NWR Jaipur Recruitment 2017 should check General Information of GDCE Notification from this section. Our team is providing Division of RRC Jaipur Vacancy with Grade in this section. Appliers can also get this details from official rrcjaipur.in Notification. Name of the Vacancy in : Clerk Typist, Assistant Loco Pilot, Ticket Examiner etc. Applicants who are searching about the minimum education qualification required for RRC NWR Jobs 2017 can check below details in which Vacancy wise education qualification given. For more information candidates are requested to refer the official notification pdf. You can also check the official links to download the NWR ALP Recruitment 2017 notification pdf and Apply Online for RRC Jaipur Vacancy below the article. RRC NWR Assistant Loco Pilot Vacancy :- Candidate should have Matriculation Passed, ITI Certificate or Act Apprenticeship Passed in Trade i.e Fitter, Electrician, Instrument Mechanic, Mechanic (Motor Vehicle), Wireman or Diploma in Mechanical, Electrical, Electronics Engineering in lieu of ITI to apply for RRC Jaipur Recruitment 2017. Station Master Post :- Applicant who is applying for NWR Jobs should have a university degree or equivalent. Diploma in rail transport and management from the institute of rail transport. 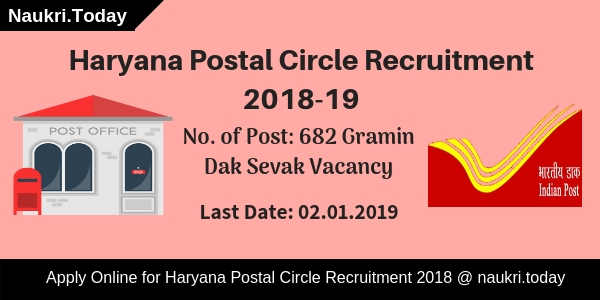 RRC Jaipur Goods Guard Jobs :- Candidate should have done University Degree or its equivalent to apply online form NWR Jobs. 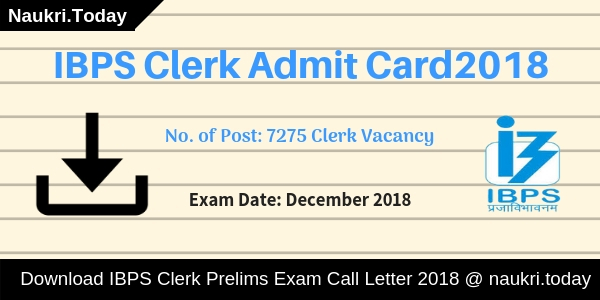 For Stenographer (Hindi) Post :- Candidate should have Passed in 12th or equivalent examination from a recognized Board /University. For skill test prescribed dictation speed of 80 W.P.M duration of 10 minutes and transcription time should be 50 minutes (English) and 65 minutes (Hindi) on Computer to take part in NWR Recruitment 2017. For Junior Engineer Post : Candidate should have complete three years of Diploma in Electrical / Electronics/ Information Technology/ Communication Engineering of any Stream from a recognized University/ Institute. Technical Grade-III (Signal) : Candidate should have Matriculation Passed, ITI Certificate/ Act Apprenticeship Passed in Trade i.e Fitter or Electrician or Instrument Mechanic or Mechanic (Motor Vehicle) or Wireman or 03 years Diploma in Engineering in Electrical or Electronics or Microprocessor or Telecommunication or Computer Science and Computer Technology. Jaipur Staff Nurse Post : Candidate should have take Certificate as Registered Nurse & Midwife having passed 03 years Course in General Nursing and Midwifery from a school of Nursing or other Institution recognized by the Indian Nursing Council of B.Sc (Nursing) to apply for RRC Jaipur Jobs 2017. Applicants who are applying for various posts in RRC NWR Recruitment 2017, upper age should be 42 Years old. Age relaxation relaxation in upper limit will be given to the applicants up to 03 years for OBC Category & 05 years for SC./ST Category for RRC Jaipur Vacancy 2017. There is no need to pay any application fee for applying online form NWR Vacancy 2017. More information you can get from official RRC Jaipur Jobs Notification. Candidates who will selected for NWR Jobs, will paid pay band as per Department Norms. Check Post Wise Grade pay for North Western Railway Vacancy which is mention in above RRC Jaipur Vacancy table. Railway Recruitment Cell will select the applicants according to the performance of the applicant on the basis of given factors. The applicants can check the detailed information regarding Selection procedure for RRC Jaipur Recruitment 2017 can refer the official notification. Applicants who are interested & eligible for RRC Jaipur Recruitment can fill online form here before the last date 12.10.2017. Applicants should read the given below steps which is helpful for applying form for North Western Railway Jobs 2017..
Then, click on “NWR Station Master Recruitment 2017” notification. Now, the RRC Jaipur GDCE Notification will appear on your screen, Read the notification completely. Then, click on “Apply Online” link. Fill all the details correctly on online form. Upload your scanned photograph and signature properly. Recheck all the details before submission. You can download the form and take a print for future use. Conclusion : NWR Recruitment 2017 – 18 notification is released you can apply here at website of RRC Jaipur. The applicants should apply before the last date 12th October 2017 for RRC Jaipur Vacancy. To get more information you can read above Article & Also Check Official RRC Jaipur Recruitment Notification.